Our Community Engagement team needs you! Would you consider helping us influence and shape Two Rivers Housing services, projects and activities? We value your involvement and want to offer groups and meetings at times and places to suit your needs, family life and other demands on your time, so we will do what we can to suit the majority of tenants. 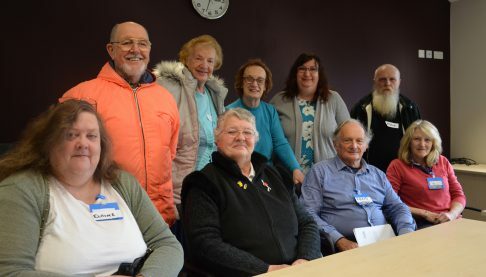 There are many ways to share your ideas and views, discuss topics with local community impact, and talk about how Two Rivers Housing delivers its services and how it might do in future. The most popular is the Tenant Forum (pictured) which offers open discussion on several planned subjects, over which it can have some influence. We will help tenants and residents to voice opinions of their landlord, neighbourhood and wider community. We always offer you a warm welcome, light refreshments are available at most meetings and we will reimburse your travel costs/ mileage and costs towards childcare when attending meetings. For more information about the groups on offer, please read our Get involved document for current opportunities. If you have ideas about other ways we could link up with you, please let us know by emailing communityengagementteam@2rh.org.uk . Junior Wardens for children in year six, working with schools, Street Wardens and the Police. Staff donate toys, seasonal gifts and food items distributed by the local foodbanks and the Salvation Army to local families. Events such as soft bowls, indoor kurling and family fun days are held all year. We run a free holiday club and work with other agencies to hold free family events throughout the Forest. We work with partners offering free education and IT courses.